So, a lot of people seem to want an iPad including those who are fully aware of its shortcomings. The iPad doesn’t support Flash, isn’t equipped with a camera, and lacks the e-Ink display. Do I think it will kill both netbooks and e-Readers currently available in the market? Probably not. (But some think it will. ) Do I think it would be a wise thing to buy an iPad as soon as it comes out to the market? Absolutely not. But, do I want one? You bet. And hopefully I will hack it. I missed the announcement of iPad Wednesday that so many people watched. Of course, as soon as I found time, I watched iPad video. While watching the video twice (thank you, Comcast, for turtle-speed internet), these are the thoughts that passed my mind. OMG, it is so sleek! I can’t wait to try reading something on it. No e-Ink? So iPad’s just a touch-screen netbook without Flash/peripheral support? Stupid information appliance. Who needs that for $$$? But maybe my aunt who doesn’t do any internet would like this because using the iPad will be easy and intuitive. Still not fair that buyers can’t configure or control the iPad that is practically a computer! How would the iPad change what we think about computers and the web? The video on the Apple website was more than impressive. It was made perfectly to open people’s wallet. However, the advertisement video was also clear in that the iPad was designed to be an appliance. Something that you turn on and use without thinking to surf the web and consume online media. The iPad is more similar to Roku, a box that plays Netflix movies onto a TV than to a netbook and closer to a less portable iPhone that cannot make a call or take a photo than a MacBook. Unlike Annalee Newitz who thinks that Apple is marketing the iPad as a computer, I think Apple advertises iPad as a piece of electronics rather than as a computer. 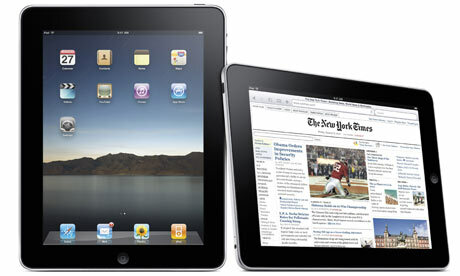 Considering its computing power, the iPad is really a computer. With its large screen, the iPad has no excuse to be such a locked-down device that gives users no control over it. It seems that we are forced to take convenience over control, and this is worrisome. The very innovativeness of iPhone OS emphasizes the danger of it being a completely locked-down system. Have you ever wondered exactly how iPhone’s user interface is so revolutionary? In “The Apple Tablet Interface Must Be Like This”, Jesus Diaz explains this by showing how iPhone materializes Jef Raskin’s idea of a morphing information appliance that could do every single task imaginable perfectly, changing its interface according to your objectives. To say that “either a device is user friendly or it’s open” is a false dichotomy. “Mentor/Mentee 101: Developing a Career Essential Relationship” is this month’s topic for ALA/NMRT (New Members Round Table) listserv. One of the contributors to the discussion mentioned the experience of unclear expectations on both a mentor’s and a mentee’s side. I was sending a reply to this discussion Friday, but the listserv didn’t let my email through. So I failed in posting my reply. But it got me thinking a bit about mentoring in librarianship. I think having a mentor can be of great help for new librarians. But not all librarians necessarily need official mentors. Often new librarians can rely on their supervisors or other colleagues as their unofficial mentors. This approach works best at a large organization where a new librarian can find experienced colleagues with similar interests to hers/his. But I also heard about situations where colleagues tend to hoard knowledge rather than sharing. Also for a new librarian who works as a solo-librarian or at a small library where each librarian specializes in a different field, participating in a mentoring program can be quite valuable. I suspect that a mentoring relationship through emails between two librarians who do not know each other and work at different organizations would be inevitably less strong than between those who know each other well and work at the same place. On the other hand, via email, mentors and mentees can discuss any questions and issues without worrying about the local context and/or, sometimes, politics. I count myself lucky having found a great mentor through the first mentoring program I participated in. I was paired with a mentor whose work is very similar in nature to mine. Common interests make it easy to start a conversation. One thing I excel at is asking questions. 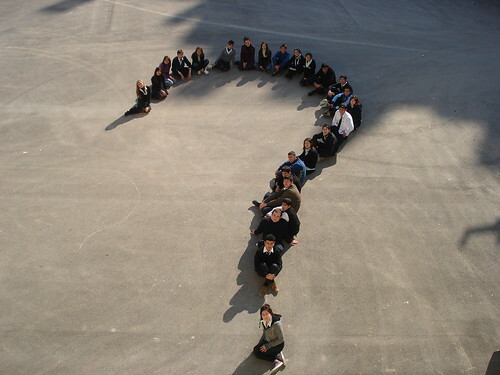 I may not necessarily understand answers, but I ask a lot of questions. Often I got illuminating answers, which come from my mentor’s experience. And those answers helped me understand certain things that at first glance looked strange or downright irrational to me. So if I have one recommendation for new librarians in mentoring relationship, that would be to ask lots of questions without worrying about whether they are stupid or inappropriate. At what other times would one be free to ask such questions if not when a new librarian? My expectation for the mentoring program was relatively simple — to find someone experienced who can give me advice about things I have difficulty in understanding, not so much about career development or skill sharing. So I am not sure how mentoring would workfor more experienced librarians with different kinds of expectations. But one thing I try to remember as a mentee is that mentoring is a big time investment for mentors. So I try to be specific, honest, and clear as much as possible when I ask questions via e-mail. I wonder when one graduates being a mentee and can begin to help others as a mentor. Maybe when there are less questions that strike one’s mind everyday? Some may object. But I suspect that my experience may pretty much sum up what new ALA members feel, may complain about, and possibly make them leave . There is no welcoming gesture. There is no personal contact. ALA is aloof. It won’t say hi just because you are nearby. It expects you to make a move. ALA is no treasure chest that you get to open when you join. 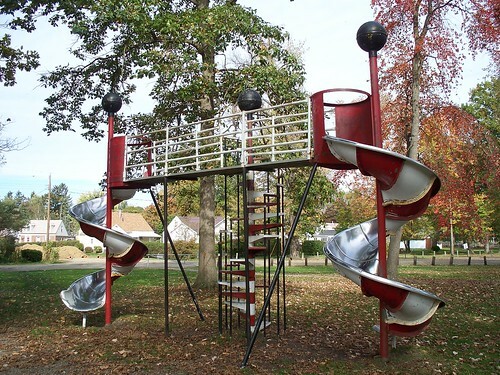 It is more like a playground where you get to go in when you become a member. But you still have to find people to play with and participate in some games to have fun. For some other interesting observations about ALA, see Agnostic, Maybe (1), Agnostic, Maybe (2), and Opinions of a Wolf. I am not yet sure if I will continue to play in this playground. But I think I will give it a shot. I had more fun in Boston than in Chicago. Have you ever had an A-HA moment for something that only makes sense in a smart phone? I had one of those with a to-do list. 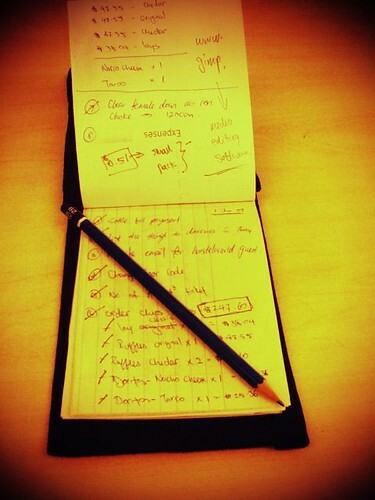 To-do list apps are essentially personal information management (PIM) systems. Because you carry your smart phone all the time and it is always on, a smart phone is an idea platform for a personal information management system such as a to-do list app. You may not be at your office or in front of your personal computer all the time. But a smart phone? That is always with you permanently powered on. In addition, the push notification capability of a smart phone allows a to-do list app to remind you of your tasks without your making the effort of actually looking them up. This way, your tasks are guaranteed to appear on your peripheral vision whether you are remembering or not. You would think that there would be many easy-to-use to-do list apps in the market. I also expected to find a reasonably good free app in this category because it is something that can be so useful for so many people. Nope. This wasn’t the case unless I give up the feature of a to-do app that initially made me realize how useful it could bee on my smart phone, i.e., push notification. Also, many To-do list apps had a user-interface that is truly far away from user-friendly. If a to-do list app requires a user to select priority, folder, due date, reminder setting, due time, repeat setting in six different screens after entering the task name, certainly the user will abandon the system. Similarly, if entered tasks don’t send out a push notification, those tasks may never become visible in users’ peripheral vision. So, the value of the PIM system significantly decreases. Also, even a smart phone is not always looked at. Users may have a stretch of time during which they are paying more attention to their emails, Twitter, or calendar on their computers. So the integration with these channels in data-input and reminder-push would significant increase the worth of a PIM system. In addition, nobody wants to work in a hideous-looking interface. So the user interface should be not only functional and efficient but also aesthetically satisfying. Many information systems can benefit from considering these factors to increase their chances of being adopted and continuously used by users. In today’s environment of constant information overload, attention is a scarce commodity and information organization is a critical activity. Many information systems will need to cater to information consumers’ needs of efficiently organizing their information. How many information management system do we see that succeeds in meeting all these requirements? Jones, E., H. Bruce, et al. (2008) – I Give Up! Five Factors that Contribute to the Abandonment of Information Management Strategies. It lists visibility, integration, co-adoption, scalability, and return on investment as five factors that contribute to the abandonment of information system by users.